The Written Word(s): We Didn't Win - And That's Okay. Tonight I donned my comfy PJ shirt, whipped up a couple of Peanut Butter & Jelly & Potato Chip sandwiches (it sounds weird, but trust me, and Hannah Hart - it's delicious! 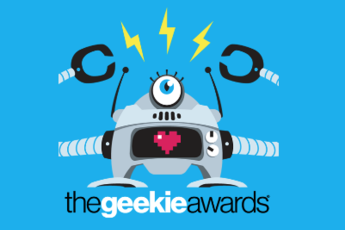 ), gripped my phone tightly and sat at my computer and watched the live stream of the 2014 Geekie Awards on Twitch TV. 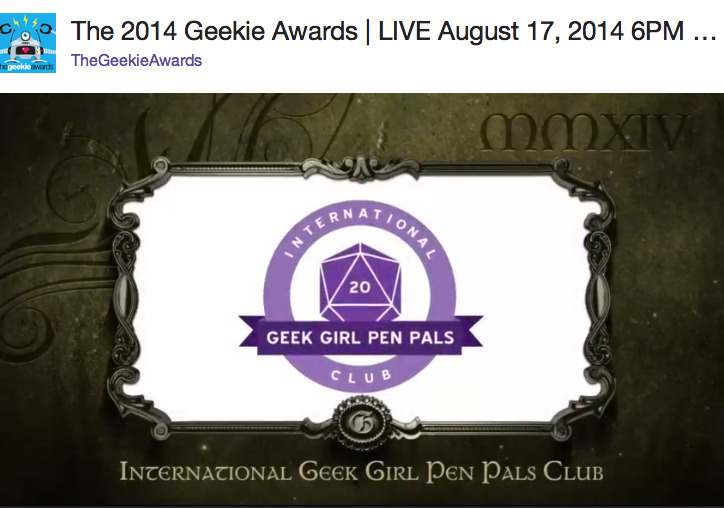 Thanks to the generosity of many iggles, we were able to send 2 of our leading ladies to Hollywood in order to represent the International Geek Girl Pen Pals Club at the award ceremony, and to be there to accept the award if we should win. I waited anxiously, and once we that were streaming the event were given our first glance at the stage and the iron throne made from axes instead of swords (courtesy of Gibson), I could actually feel tears prickling at the corners of my eyes. Yes, I found myself literally in tears, both at the excitement of us potentially winning this award and at the fear that we wouldn't and overall just from feeling so incredible nervous about either outcome. For those that know me well enough, you know that I am commonly referenced as being made of stone because I'm not the type to cry at things like sad parts in movies or when Christmas Shoes is playing on the radio in December. But tonight, I was overcome with so much emotion that I couldn't hold it in, and I sat there, crossing everything I have, shutting my eyes when the award was at last announced. And we didn't win. And at first it hurt. I could've sworn I caught a glimpse of Stewie in the audience wiping her eyes, and that nearly killed me. But I've never been the type of immature highschooler that would quickly grow resentful and start bashing on the recipient of the award over social media, because that's not how I roll, and I'd never want to do that anyway. Screen Rant ultimately deserved to win, and all of us iggles and miggles congratulate you. So we lost . . . and you know what? That's okay. Would it have been awesome for one of our girls to take home that detachable ray gun award? Yeah, there's definitely a lot of fun selfies and silly poses that could be taken with that kind of a toy. But we still managed to achieve quite a few things tonight, even if they didn't involve having our name written on a scroll. The exposure alone is a big deal. They saved our amazing community for last, and to have our logo blowing up screens all over the place is pretty amazing. Plus Stewie tweeted earlier about how they have done so much networking on this trip, and I'm sure that this trip is going to be great for our amazing group of ladies. Not to mention the tweets that have been going around since the award was announced have made any of the disappointment in not winning vanish from my heart and my mind. 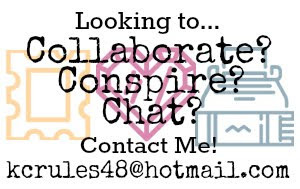 Members are tweeting with hashtags such as #iggleandproud and #iggles4ever and even #LoveYouGals and all the overwhelming support that everyone is exhibiting for the iggle community right now has shown me something. I love this community, and I love how it has allowed me to change my life for the better. What could trigger such a sudden and uncontrollable emotional response - such as tears from the Tin Woman - than an overwhelming sense of pride and love for her fellow iggles and miggles? I wish there were some iggles present with me right now so I could give them a big hug and tell them how much they mean to me.